Plants are mainly multicellular, predominantly photosynthetic eukaryotes of the kingdom Plantae. Historically, plants were treated as one of two kingdoms including all living things that were not animals, and all algae and fungi were treated as plants. However, all current definitions of Plantae exclude the fungi and some algae, as well as the prokaryotes (the archaea and bacteria). By one definition, plants form the clade Viridiplantae (Latin name for “green plants”), a group that includes the flowering plants, conifers and other gymnosperms, ferns and their allies, hornworts, liverworts, mosses and the green algae, but excludes the red and brown algae. There are about 320 thousand species of plants, of which the great majority, some 260–290 thousand, are seed plants (see the table below). Green plants provide a substantial proportion of the world’s molecular oxygen and are the basis of most of Earth’s ecosystems, especially on land. 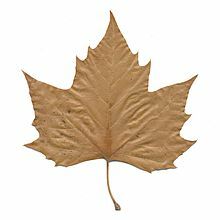 Plants that produce grain, fruit and vegetables form humankind’s basic foods, and have been domesticated for millennia. Plants have many cultural and other uses, as ornaments, building materials, writing material and, in great variety, they have been the source of medicines and psychoactive drugs. The scientific study of plants is known as botany, a branch of biology. The term “plant” generally implies the possession of the following traits multicellularity, possession of cell walls containing cellulose and the ability to carry out photosynthesis with primary chloroplasts. Another way of looking at the relationships between the different groups that have been called “plants” is through a cladogram, which shows their evolutionary relationships. These are not yet completely settled, but one accepted relationship between the three groups described above is shown below[clarification needed]. Those which have been called “plants” are in bold (some minor groups have been omitted). Green algae from Ernst Haeckel‘s Kunstformen der Natur, 1904. Two additional groups, the Rhodophyta (red algae) and Glaucophyta (glaucophyte algae), also have primary chloroplasts that appear to be derived directly from endosymbiotic cyanobacteria, although they differ from Viridiplantae in the pigments which are used in photosynthesis and so are different in colour. These groups also differ from green plants in that the storage polysaccharide is floridean starch and is stored in the cytoplasm rather than in the plastids. They appear to have had a common origin with Viridiplantae and the three groups form the clade Archaeplastida, whose name implies that their chloroplasts were derived from a single ancient endosymbiotic event. This is the broadest modern definition of the term ‘plant’. The other group within the Viridiplantae are the mainly freshwater or terrestrial Streptophyta, which consists of the land plants together with the Charophyta, itself consisting of several groups of green algae such as the desmids and stoneworts. Streptophyte algae are either unicellular or form multicellular filaments, branched or unbranched. The genus Spirogyra is a filamentous streptophyte alga familiar to many, as it is often used in teaching and is one of the organisms responsible for the algal “scum” on ponds. The freshwater stoneworts strongly resemble land plants and are believed to be their closest relatives. Growing immersed in fresh water, they consist of a central stalk with whorls of branchlets. Linnaeus’ original classification placed the fungi within the Plantae, since they were unquestionably neither animals or minerals and these were the only other alternatives. With 19th century developments in microbiology, Ernst Haeckel introduced the new kingdom Protista in addition to Plantae and Animalia, but whether fungi were best placed in the Plantae or should be reclassified as protists remained controversial. In 1969, Robert Whittaker proposed the creation of the kingdom Fungi. Molecular evidence has since shown that the most recent common ancestor (concestor), of the Fungi was probably more similar to that of the Animalia than to that of Plantae or any other kingdom. Whittaker’s original reclassification was based on the fundamental difference in nutrition between the Fungi and the Plantae. Unlike plants, which generally gain carbon through photosynthesis, and so are called autotrophs, fungi do not possess chloroplasts and generally obtain carbon by breaking down and absorbing surrounding materials, and so are called heterotrophic saprotrophs. In addition, the substructure of multicellular fungi is different from that of plants, taking the form of many chitinous microscopic strands called hyphae, which may be further subdivided into cells or may form a syncytium containing many eukaryotic nuclei. Fruiting bodies, of which mushrooms are the most familiar example, are the reproductive structures of fungi, and are unlike any structures produced by plants. The first seed plants, pteridosperms (seed ferns), now extinct, appeared in the Devonian and diversified through the Carboniferous. 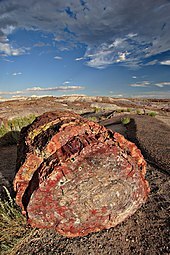 They were the ancestors of modern gymnosperms, of which four surviving groups are widespread today, particularly the conifers, which are dominant trees in several biomes. The name gymnosperm comes from the Greek composite word γυμνόσπερμος (γυμνός gymnos, “naked” and σπέρμα sperma, “seed”), as the ovules and subsequent seeds are not enclosed in a protective structure (carpels or fruit), but are borne naked, typically on cone scales. Fossils of seed ferns such as Glossopteris are widely distributed throughout several continents of the Southern Hemisphere, a fact that gave support to Alfred Wegener‘s early ideas regarding Continental drift theory. Growth is also determined by environmental factors, such as temperature, available water, available light, carbon dioxide and available nutrients in the soil. Any change in the availability of these external conditions will be reflected in the plant’s growth and the timing of its development. The photosynthesis conducted by land plants and algae is the ultimate source of energy and organic material in nearly all ecosystems. Photosynthesis, at first by cyanobacteria and later by photosynthetic eukaryotes, radically changed the composition of the early Earth’s anoxic atmosphere, which as a result is now 21% oxygen. Animals and most other organisms are aerobic, relying on oxygen; those that do not are confined to relatively rare anaerobic environments. 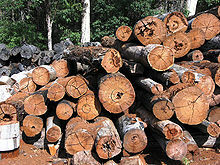 Plants are the primary producers in most terrestrial ecosystems and form the basis of the food web in those ecosystems. Many animals rely on plants for shelter as well as oxygen and food. Plants are often the dominant physical and structural component of habitats where they occur. Many of the Earth’s biomes are named for the type of vegetation because plants are the dominant organisms in those biomes, such as grasslands, taiga and tropical rainforest. Humans depend on plants for food, either directly or as feed for domestic animals. Agriculture deals with the production of food crops, and has played a key role in the history of world civilizations. Agriculture includes agronomy for arable crops, horticulture for vegetables and fruit, and forestry for timber. About 7,000 species of plant have been used for food, though most of today’s food is derived from only 30 species. The major staples include cereals such as rice and wheat, starchy roots and tubers such as cassava and potato, and legumes such as peas and beans. Vegetable oils such as olive oil provide lipids, while fruit and vegetables contribute vitamins and minerals to the diet. Medicinal plants are a primary source of organic compounds, both for their medicinal and physiological effects, and for the industrial synthesis of a vast array of organic chemicals. Many hundreds of medicines are derived from plants, both traditional medicines used in herbalism and chemical substances purified from plants or first identified in them, sometimes by ethnobotanical search, and then synthesised for use in modern medicine. Modern medicines derived from plants include aspirin, taxol, morphine, quinine, reserpine, colchicine, digitalis and vincristine. Plants used in herbalism include ginkgo, echinacea, feverfew, and Saint John’s wort. The pharmacopoeia of Dioscorides, De Materia Medica, describing some 600 medicinal plants, was written between 50 and 70 AD and remained in use in Europe and the Middle East until around 1600 AD; it was the precursor of all modern pharmacopoeias. Thousands of plant species are cultivated for aesthetic purposes as well as to provide shade, modify temperatures, reduce wind, abate noise, provide privacy, and prevent soil erosion. Plants are the basis of a multibillion-dollar per year tourism industry, which includes travel to historic gardens, national parks, rainforests, forests with colorful autumn leaves, and festivals such as Japan’s and America’s cherry blossom festivals. ^ Cavalier-Smith, T. (1981). “Eukaryote kingdoms: Seven or nine?”. BioSystems. 14 (3–4): 461–481. doi:10.1016/0303-2647(81)90050-2. PMID 7337818. ^ Lewis, L.A.; McCourt, R.M. (2004). 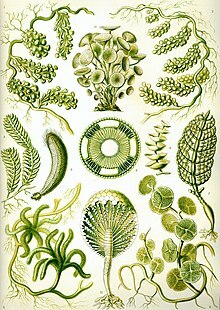 “Green algae and the origin of land plants”. American Journal of Botany. 91 (10): 1535–1556. doi:10.3732/ajb.91.10.1535. PMID 21652308. ^ “Numbers of threatened species by major groups of organisms (1996–2010)” (PDF). International Union for Conservation of Nature. 11 March 2010. ^ Field, C.B. ; Behrenfeld, M.J.; Randerson, J.T. ; Falkowski, P. (1998). “Primary production of the biosphere: Integrating terrestrial and oceanic components”. Science. 281 (5374): 237–240. Bibcode:1998Sci…281..237F. doi:10.1126/science.281.5374.237. PMID 9657713. ^ “plant – Definition from the Merriam-Webster Online Dictionary”. Retrieved 2009-03-25. 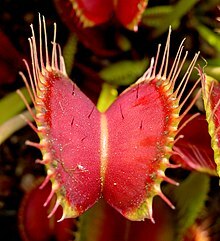 ^ “plant (life form) — Britannica Online Encyclopedia”. Retrieved 2009-03-25. ^ a b Whittaker, R.H. (1969). “New concepts of kingdoms or organisms” (PDF). Science. 163 (3863): 150–160. Bibcode:1969Sci…163..150W. CiteSeerX 10.1.1.403.5430. doi:10.1126/science.163.3863.150. PMID 5762760. ^ Margulis, L (1971). “Whittaker’s five kingdoms of organisms: minor revisions suggested by considerations of the origin of mitosis”. Evolution. 25 (1): 242–245. doi:10.2307/2406516. JSTOR 2406516. PMID 28562945. ^ Parfrey, Laura Wegener; Lahr, Daniel J.G. ; Knoll, Andrew H.; Katz, Laura A. (16 August 2011). “Estimating the timing of early eukaryotic diversification with multigene molecular clocks”. Proceedings of the National Academy of Sciences. 108 (33): 13624–13629. Bibcode:2011PNAS..10813624P. doi:10.1073/pnas.1110633108. PMC 3158185. PMID 21810989. ^ Derelle, Romain; Torruella, Guifré; Klimeš, Vladimír; Brinkmann, Henner; Kim, Eunsoo; Vlček, Čestmír; Lang, B. Franz; Eliáš, Marek (17 February 2015). “Bacterial proteins pinpoint a single eukaryotic root”. Proceedings of the National Academy of Sciences. 112 (7): E693–E699. Bibcode:2015PNAS..112E.693D. doi:10.1073/pnas.1420657112. PMC 4343179. PMID 25646484. ^ Jackson, Christopher; Clayden, Susan; Reyes-Prieto, Adrian (1 January 2015). “The Glaucophyta: the blue-green plants in a nutshell”. Acta Societatis Botanicorum Poloniae. 84 (2): 149–165. doi:10.5586/asbp.2015.020. ^ a b Sánchez-Baracaldo, Patricia; Raven, John A.; Pisani, Davide; Knoll, Andrew H. (12 September 2017). “Early photosynthetic eukaryotes inhabited low-salinity habitats”. Proceedings of the National Academy of Sciences. 114 (37): E7737–E7745. doi:10.1073/pnas.1620089114. PMC 5603991. PMID 28808007. ^ a b Gitzendanner, Matthew A.; Soltis, Pamela S.; Wong, Gane K.-S.; Ruhfel, Brad R.; Soltis, Douglas E. (2018). “Plastid phylogenomic analysis of green plants: A billion years of evolutionary history”. American Journal of Botany. 105 (3): 291–301. doi:10.1002/ajb2.1048. PMID 29603143. ^ Guiry, M.D. ; Guiry, G.M. (2007). “Phylum: Chlorophyta taxonomy browser”. AlgaeBase version 4.2 World-wide electronic publication, National University of Ireland, Galway. Retrieved 2007-09-23. ^ Strother, Paul K.; Battison, Leila; Brasier, Martin D.; Wellman, Charles H. (26 May 2011). “Earth’s earliest non-marine eukaryotes”. Nature. 473 (7348): 505–509. Bibcode:2011Natur.473..505S. doi:10.1038/nature09943. PMID 21490597. ^ Harholt, Jesper; Moestrup, Øjvind; Ulvskov, Peter (1 February 2016). “Why Plants Were Terrestrial from the Beginning”. Trends in Plant Science. 21 (2): 96–101. doi:10.1016/j.tplants.2015.11.010. PMID 26706443. ^ Rothwell, G.W. ; Scheckler, S.E. ; Gillespie, W.H. (1989). “Elkinsia gen. nov., a Late Devonian gymnosperm with cupulate ovules”. Botanical Gazette. 150 (2): 170–189. doi:10.1086/337763. JSTOR 2995234. ^ Smith Alan R.; Pryer, Kathleen M.; Schuettpelz, E.; Korall, P.; Schneider, H.; Wolf, Paul G. (2006). 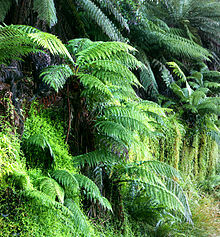 “A classification for extant ferns” (PDF). Taxon. 55 (3): 705–731. doi:10.2307/25065646. JSTOR 25065646. Archived from the original (PDF) on 26 February 2008. ^ Leliaert, Frederik; Verbruggen, Heroen; Zechman, Frederick W. (2011). “Into the deep: New discoveries at the base of the green plant phylogeny”. BioEssays. 33 (9): 683–692. doi:10.1002/bies.201100035. PMID 21744372. ^ Mikhailyuk, Tatiana; Lukešová, Alena; Glaser, Karin; Holzinger, Andreas; Obwegeser, Sabrina; Nyporko, Svetlana; Friedl, Thomas; Karsten, Ulf (2018). “New Taxa of Streptophyte Algae (Streptophyta) from Terrestrial Habitats Revealed Using an Integrative Approach”. Protist. 169 (3): 406–431. doi:10.1016/j.protis.2018.03.002. ISSN 1434-4610. PMC 6071840. PMID 29860113. ^ Butterfield, Nicholas J.; Knoll, Andrew H.; Swett, Keene (1994). “Paleobiology of the Neoproterozoic Svanbergfjellet Formation, Spitsbergen”. Lethaia. 27 (1): 76. doi:10.1111/j.1502-3931.1994.tb01558.x. ^ R.M.M., Crawford (1982). “Physiological responses in flooding”. Encyclopedia of Plant Physiology. 12B: 453–477. ^ Yoshiyama, K.O. (2016). “SOG1: a master regulator of the DNA damage response in plants”. Genes and Genetic Systems. 90 (4): 209–216. doi:10.1266/ggs.15-00011. PMID 26617076. ^ Gill, Victoria (14 July 2010). 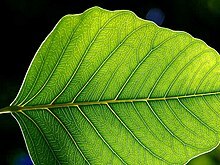 “Plants ‘can think and remember‘“. BBC News – via www.bbc.co.uk. ^ Song, W.Y. ; et al. (1995). “A receptor kinase-like protein encoded by the rice disease resistance gene, XA21”. Science. 270 (5243): 1804–1806. Bibcode:1995Sci…270.1804S. doi:10.1126/science.270.5243.1804. PMID 8525370. ^ Gomez-Gomez, L.; et al. (2000). “FLS2: an LRR receptor-like kinase involved in the perception of the bacterial elicitor flagellin in Arabidopsis“. 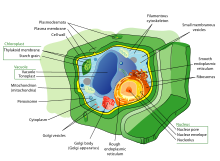 Molecular Cell. 5 (6): 1003–1011. doi:10.1016/S1097-2765(00)80265-8. PMID 10911994. ^ Michael, Todd P.; Jackson, Scott (1 July 2013). “The First 50 Plant Genomes”. The Plant Genome. 6 (2): 0. doi:10.3835/plantgenome2013.03.0001in. ^ Brenchley, Rachel; Spannagl, Manuel; Pfeifer, Matthias; Barker, Gary L.A.; D’Amore, Rosalinda; Allen, Alexandra M.; McKenzie, Neil; Krame r, Melissa; Kerhornou, Arnau (29 November 2012). “Analysis of the bread wheat genome using whole-genome shotgun sequencing”. Nature. 491 (7426): 705–710. Bibcode:2012Natur.491..705B. doi:10.1038/nature11650. PMC 3510651. PMID 23192148. ^ Arabidopsis Genome Initiative (14 December 2000). “Analysis of the genome sequence of the flowering plant Arabidopsis thaliana”. Nature. 408 (6814): 796–815. Bibcode:2000Natur.408..796T. doi:10.1038/35048692. PMID 11130711. ^ Ibarra-Laclette, Enrique; Lyons, Eric; Hernández-Guzmán, Gustavo; Pérez-Torres, Claudia Anahí; Carretero-Paulet, Lorenzo; Chang, Tien-Hao; Lan, Tianying; Welch, Andreanna J.; Juárez, María Jazmín Abraham (6 June 2013). “Architecture and evolution of a minute plant genome”. Nature. 498 (7452): 94–98. Bibcode:2013Natur.498…94I. doi:10.1038/nature12132. PMC 4972453. PMID 23665961. ^ Nystedt, Björn; Street, Nathaniel R.; Wetterbom, Anna; Zuccolo, Andrea; Lin, Yao-Cheng; Scofield, Douglas G.; Vezzi, Francesco; Delhomme, Nicolas; Giacomello, Stefania (30 May 2013). “The Norway spruce genome sequence and conifer genome evolution”. Nature. 497 (7451): 579–584. Bibcode:2013Natur.497..579N. doi:10.1038/nature12211. PMID 23698360. ^ “The Development of Agriculture”. National Geographic. 2016. Archived from the original on 14 April 2016. Retrieved 1 October 2017. ^ “Food and drink”. Kew Gardens. Archived from the original on 28 March 2014. Retrieved 1 October 2017. ^ “Chemicals from Plants”. Cambridge University Botanic Garden. Retrieved 9 December 2017. Note that the details of each plant and the chemicals it yields are described in the linked subpages. ^ “Greek Medicine”. National Institutes of Health, USA. 16 September 2002. Retrieved 22 May 2014. ^ “Industrial Crop Production”. Grace Communications Foundation. 2016. Retrieved 20 June 2016. ^ “Industrial Crops and Products An International Journal”. Elsevier. Retrieved 2016-06-20. ^ “Natural fibres”. Discover Natural Fibres. Retrieved 2016-06-20. ^ “History of the Cherry Blossom Trees and Festival”. National Cherry Blossom Festival: About. National Cherry Blossom Festival. Archived from the original on 14 March 2016. Retrieved 22 March 2016. ^ Lambert, Tim (2014). “A Brief History of Gardening”. British Broadcasting Corporation. Retrieved 21 June 2016. ^ Blumberg, Roger B. “Mendel’s Paper in English”. 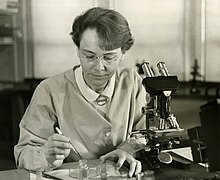 ^ “Barbara McClintock: A Brief Biographical Sketch”. WebCite. Archived from the original on 21 August 2011. Retrieved 21 June 2016. ^ “About Arabidopsis”. TAIR. Retrieved 21 June 2016. ^ “Engineering Life”. NASA. Retrieved 21 June 2016. ^ “Deaths related to cocaine”. ^ “Illegal drugs drain $160 billion a year from American economy”. Archived from the original on 15 February 2008. ^ “The social cost of illegal drug consumption in Spain”. September 2002. Trewavas A (2003). “Aspects of Plant Intelligence”. Annals of Botany. 92 (1): 1–20. doi:10.1093/aob/mcg101. PMC 4243628. PMID 12740212. Prance G.T. (2001). “Discovering the Plant World”. Taxon. 50 (2, Golden Jubilee Part 4): 345–359. doi:10.2307/1223885. JSTOR 1223885. Chaw, S.-M.; et al. (1997). “Molecular Phylogeny of Extant Gymnosperms and Seed Plant Evolution: Analysis of Nuclear 18s rRNA Sequences” (PDF). Mol. Biol. Evol. 14 (1): 56–68. doi:10.1093/oxfordjournals.molbev.a025702. PMID 9000754. Archived from the original (PDF) on 24 January 2005.